Non-refundable - You will be charged the total amount of your stay if you cancel your booking. Prepayment : You will be charged a prepayment of the total amount of your stay on the credit card used for the reservation at any time. You can cancel without any fees your reservation 1 day prior to your arrival (For instance, if your reservation in on August 12th, you have until August 10th 11:59PM to cancel). If you cancel later or no show, the total amount of your stay will not be refundable. The hostel will process the payement on the credit card used for the reservation of the total amount of your stay the day before your check-in. You can cancel without any fees your reservation 2 days prior to your arrival (For instance, if your reservation in on August 12th, you have until August 9th 11:59PM to cancel). If you cancel later or no show, the total amount of your stay will not be refundable. The hostel will process the payement on the credit card used for the reservation of the total amount of your stay two days before your check-in. If you book for more than 8 people, our group cancellation/modification policy applies. It means that if you cancel or reduce your reservation within 2 weeks prior your check-in date, the entire stay is due. Prices include VAT (10%) and city Tax (0.83€ per person and per night). Payments are due in advance either by credit card pre-authorization or at check-in. Payment accepted on arrival: Credit card (VISA Mastercard Maestro), Cash (EUR) except 500€ bank notes subject to manager inspection. Please note that payment by cheque is not allowed. We don’t accept reservation from minors under 16 travelling alone. Minor from 16 to 18 must show an signed authorization from their parents + copy of parents ID. A valid ID (Passport, ID Card, Driving Licence) will be requested at check-in. Common areas and all kind of room (Dorm or private room) in the hostel are wheelchair accessible. Hostel rules are available in hostel common areas. Personal information collected in our system will not be shared with anyone outside the Hostel. According to the « informatique et libertés » french law dated 6 january 1978 and amended, you have an access and modification right regarding your personal information. 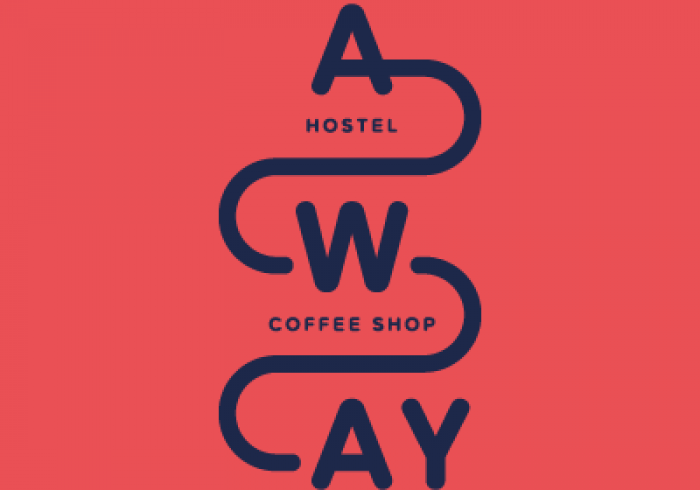 You can access the aforesaid information by contacting: bonjour@awayhostel.com. For further information, you can visit the CNIL website. AWAY Hostel is brand new and centrally located in Lyon 1st district, close to main city attractions. We offer shared mixed or female spacious dorms and private hotel rooms. The entire Away team is looking forward to welcoming you in Lyon, share tips to visit Lyon and make your stay memorable ! IMPORTANT INFORMATION REGARDING GROUP CANCELLATION POLICY : If you book more than 8 beds through our booking engine, our group cancellation/modification policy applies. It means that if you cancel your reservation within 2 weeks prior your checkin date, the entire stay is due. Smoking in the rooms is prohibited, any cost to deodorize will be charged to the customer (100€ per private room or 100€ per person in dorms). In case of extension of your stay, thank you to inform the reception at the latest at 11H the day of initial check-out. In case of late extension, a fee will be applied for housekeeping. (5 € all taxes included).